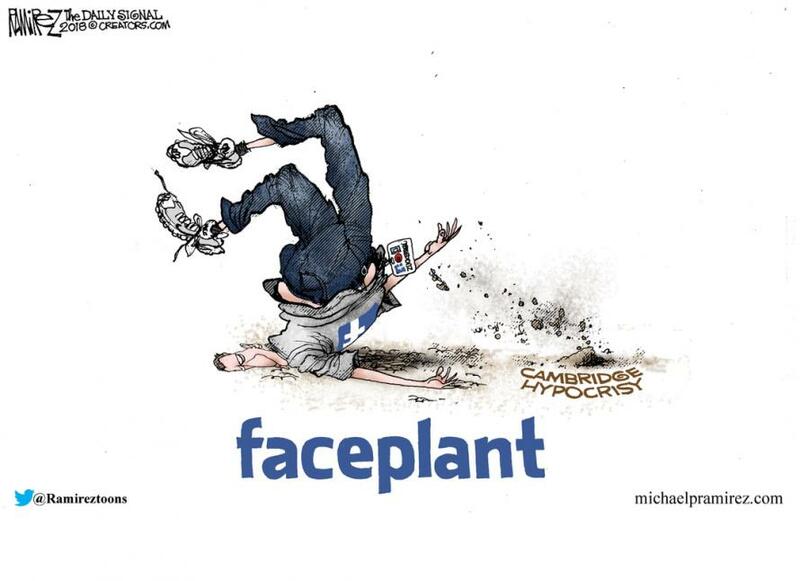 Facebook user engagement was already starting to fall by the wayside and the company was already scrambling to figure out new methods for boosting its user engagement before it came under fire over the past month for the Cambridge Analytica scandal. Facebook CEO Mark Zuckerberg did well under Congress’ microscope, but Facebook has more hurdles to overcome as data shows a decline in user engagement, writes Cowen analyst John Blackledge. 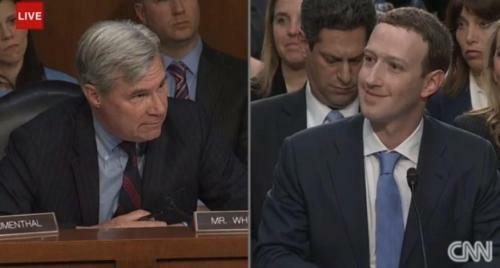 Despite the data, Cowen was bullish on all things left open for interpretation, stating that "political and regulatory hurdles will likely persist, but FB is open to working together to solve the issues". In a seperate note put out by Cowen's Washington correspondence, analyst Paul Gallant noted that an FTC investigation into the company's compliance with its consent decree remains a risk and that "Democrats are unhappy and want legislation". What else is new. regulation -- is the only way to protect consumers at this point. still make passage an uphill battle. (as it was in Europe). It was less than two months ago that we wrote about Facebook's most recent "dirty trick" for trying to boost its user engagement numbers - using phone numbers provided for two-factor authentication to send users data they can "engage with" but didn't sign up for recieiving via text message. 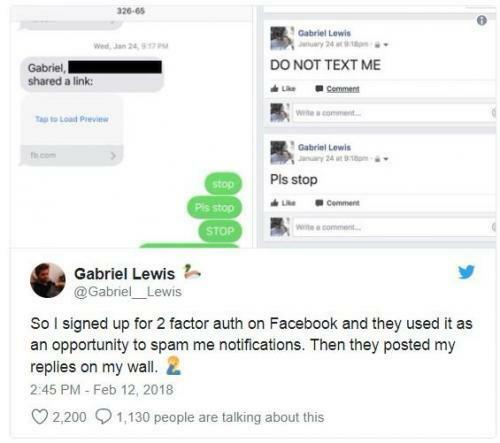 In that article we told the story of Gabriel Lewis, who tweeted that Facebook texted "spam" to the phone number he submitted for the purposes of 2-factor authentication. And no, he insists he did not have mobile notifications turned on. Lewis had explained his version of the story to Mashable via Twitter direct message. Lewis further explained that he can go "for months" without signing into Facebook, which suggests the possibility that Mark Zuckerberg's creation was feeling a little neglected and trying to get him back. According to Lewis, he signed up for two factor authentication on Dec. 17 and the alleged spamming began on Jan. 5. Importantly, Lewis wasn't the only person who claims this happened to him. One Facebook user says he accidentally told "friends and family to go [to] hell" when he "replied to the spam." Of course, despite this Cowen survey providing a less than optimistic forecast for Facebook's user engagement heading into Q2, Cowen still called the company one its its "top picks in the universe" and kept the company at outperform with a $210 price target.